Heated discussion is almost invariably about how much car parking will be built and whether it will be enough to stop cars swamping surrounding streets. In Melbourne, hundreds of planning appeals each year centre on this topic. Our latest research for the City of Melbourne estimates 25-41% of apartment parking in the inner city is vacant. Yet many people feel finding on-street parking is a struggle worsened by higher-density housing. How can both be so, and how can parking be done better? How many car parks are out there? Cities contain surprisingly large amounts of parking. 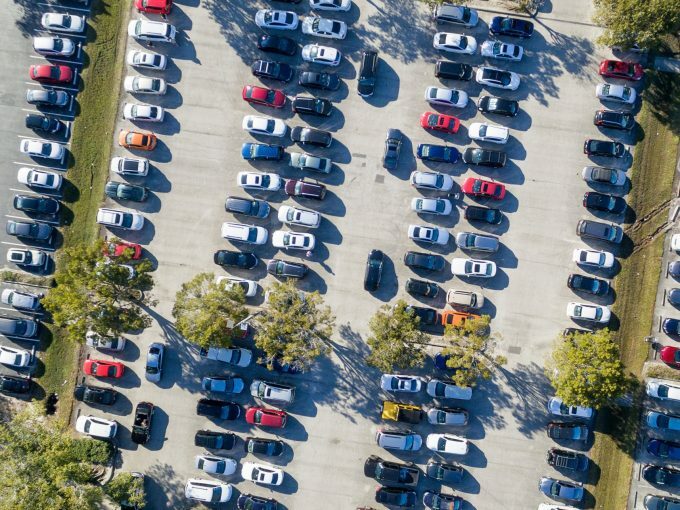 In some US cities, car parking takes up as much as half of the ground space of central areas. A recent study of five US cities found “car storage has become the primary land use in many city areas”. Des Moines has 18 times as many parking spaces per hectare as households. We don’t know exactly how many parking spots there are in most Australian cities. However, the City of Melbourne has unusually good data showing at least 217,090 parking spaces in inner Melbourne. Off-street parking totalled 4.1 million square metres, or 12% of total floor space in the municipality. It’s harder to come by data on how parking space is used. Comparing 2016 Census data on total car ownership (36,951) in the City of Melbourne to residential parking spaces (49,500) suggests there are 12,549 surplus residential car parking spaces – a 25% vacancy. Another study surveying eight inner Melbourne apartment buildings found car parks were between 30% and 40% empty. Apartment parking is the only parking type increasing in inner Melbourne. Yet car parking adds to housing construction costs and reduces affordability. In Australia, land and construction costs per space are between A$50,000 and $80,000, and bays occupy 21 square metres on average. With apartment sizes around 45 square metres, this is a substantial housing trade-off. So in a dense high-cost area, why would there be more spaces than needed? One reason is minimum off-street parking policies. 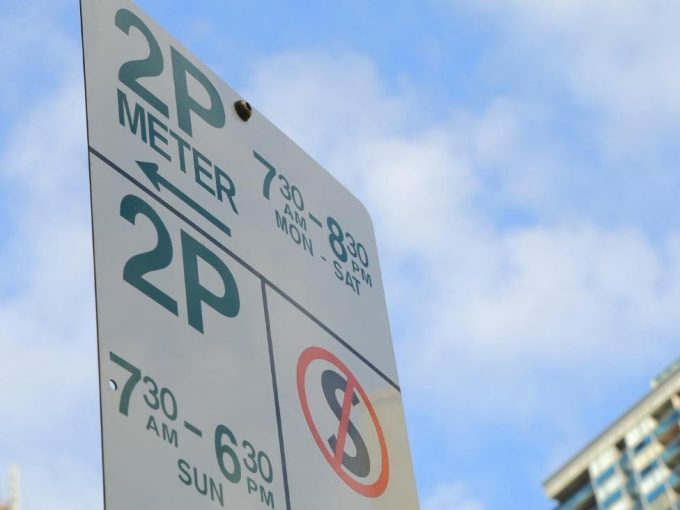 In most of Melbourne, minimum parking rates have been standard practice since the 1950s. State-wide provisions require each new one-to-two-bedroom dwelling to include one off-street parking space, and each dwelling of three bedrooms or more to include two spaces, plus visitor parking. Requirements for minimum space don’t reflect differences in demand. Some households will trade off parking for other housing characteristics. When London removed minimum parking policies, residential parking was built at only around half the rate previous policies required. But not using a space doesn’t mean it’s not wanted. In Melbourne, parking spaces are typically sold “bundled” with property titles. Even carless households prefer to purchase parking for its on-sale value. 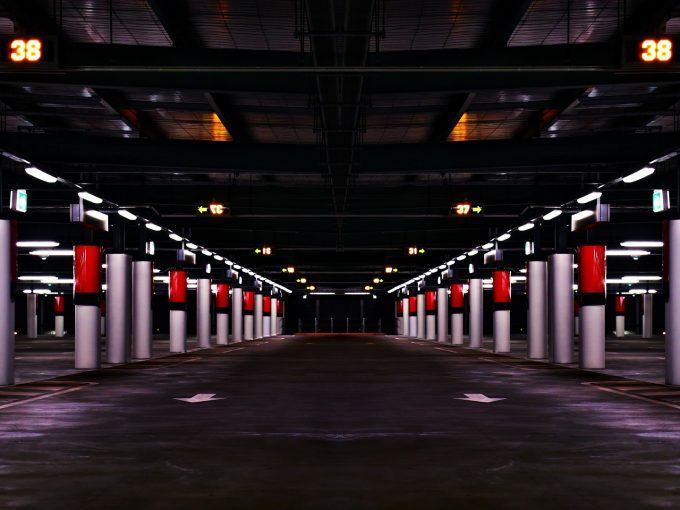 And when parking is located separately in the building, planning, owners’ corporation and building security rules can make it tricky to lease out or repurpose a space. So why can’t I find a park? Conventional policy approaches combine largely free on-street parking (seen as a public right) with minimum requirements for off-street parking in new developments. Researchers argue a flaw of this approach is that free on-street parking makes off-street requirements an imperfect response. In Melbourne, 95% of car trips that required parking were free. Such approaches disguise demand and over-supply parking at the expense of other land uses and transport. A second flaw is the assumption off-street parking is a perfect substitute for street parking. In practice, drivers favour on-street parking over parking garages. They will spend time cruising in search of a free spot. At home, households underuse private parking where free on-street parking is available. Household garages are used for cars only around half the time. A study of households in Los Angeles found 75% of garages were filled with accumulating household goods – pushing cars into driveways and streets. Cities (including inner Melbourne) are removing or reducing off-street parking requirements, or replacing these with maximums. Changes to off-street parking requirements should be integrated with market-based or adaptive on-street parking. Dynamic pricing refers to parking where hourly fees vary by time and location, based on occupancy targets and usage patterns. Off-street and on-street parking are integrated to minimise both underpriced and overpriced parking. SF Park in in San Francisco has seen some peak locations increase in price, other meters reduced, and 50% reductions in cruisingusing such an approach. Then there’s “unbundling”, where parking is sold or rented in a separate market to housing. Households can choose to own or rent less or more parking. Parking spaces could either be optional in initial purchase, or building managers (or owners) could rent out spaces separately. Informal and app-based markets are emerging to allow people with excess parking to rent space to those searching for it. Some studies suggest unbundling reduces car ownership and use, while others indicate it simply improves parking allocation. Precinct or neighbourhood parking is another approach. This is an off-site parking structure within walking distance used by different buildings in an area. Japan has a diverse market of off-street neighbourhood parking lots. This is fostered by a proof-of-parking law, combined with almost no on-street parking and few parking minimums. Those who want a parking space at their house are free to do so, but many opt for a short walk to a small lot in their neighbourhood. Parking space can also be converted to other uses. Parking numbers in central Zurich were capped in 1996, with surface parking converted mostly to public squares. Oslo is phasing out central city parking in favour of “greener and more liveable” uses. Since the 1970s Copenhagen policy has reduced parking spaces by 2% per year by “treating street space as a valuable public asset”. London recently announced a ban on new parking. There are also pop-up, temporary approaches, parking designed for future re-use, and conversions of multistorey structures. Cities need to respond to changes and uncertainties around parking in ways that make fairer use of public and private space. Japan, for example, offers a more flexible model where parking ownership is easily transferred with changing needs. Some researchers have recommended, given the uncertainties around transport, that cities focus on parking reform. While not glamorous, it makes sense regardless of future automation scenarios.